I love, love, love tassels! I also love oversized decor accessories so a couple of these are huge. I hot glued the ends of the binding to the bottom of the fleur de lis piece and added a few upholstery tacks around the edge to finish it off. It's BIG...about a foot long and probably about 5 or 6" wide. 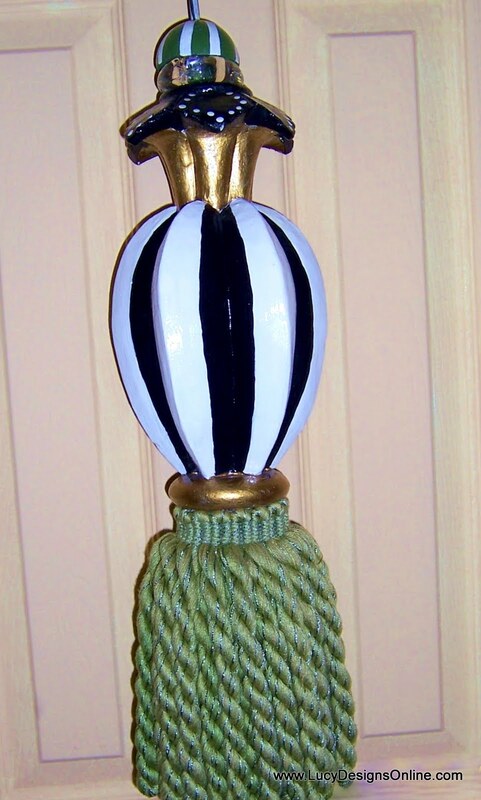 You may have seen this pair of tassels I made in my armoire post. I used various fringe and glued it to hand painted wooden pieces to make a tassel. This one started as a wooden lamp base, it's realllly big, about 20" long. I painted and hot glued coiled boullion fringe to the bottom. I had two but only have a pic of one of them. but just goes to show you can create tassels from anything! You would think turkey feathers are just kind of plain and brown but they really are beautiful! They have almost an animal print look on some and others have an amazing iridescent look....very cool for plain ole turkey feathers! 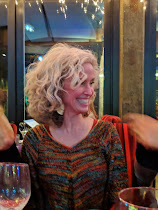 Thank you for reading about my tassels! I love tassel too-but never made any yet-yours are fab-love the eagle one!! !